This quality clothing boutique approached us when they were opened their first shop in Llandeilo and wanted help with their design work. Basically they wanted something simple and very elegant featuring the outline of a tree to introduce a more natural element into the design. During a extensive design briefing our Pembrokeshire graphic designers went through every detail of the brand they hoped to have for their boutique from colour to the type of paper it would be printed on, to the sorts of typefaces used and image they wanted to project. The end result is the logo that you see photographed here. However, it went much further than this. The brand was designed to work both with white on grey and grey on white so that they could be interchanged depending on the material it was being put on. This is a very important point for a boutique designing and making its own clothes, as the logo will be printed on fabric as well as paper and card. After all, it may not be possible to print the grey background on some materials. Since this first piece of work for Douglass Attire our Pembrokeshire graphic designers have worked on many different product for them including vouchers, labels, business cards, tags and a website. The vouchers we designed and printed for them are something we are particularly proud of. As you can see for the photos they were designed with a solid grey background with the main text in a bright, shining metallic gold foil block finish. This was achieved by actually using metal foil rather than ink and striking it with an old fashioned printing block to force the metal to fuse with the voucher’s surface. The effect was enhanced by printing the grey background in a solid spot colour on uncoated card for a more tactile natural finish. Full colour print cannot give you that depth of colour and a coated paper would have given it a smooth silky finish that just would not fit the design brief. 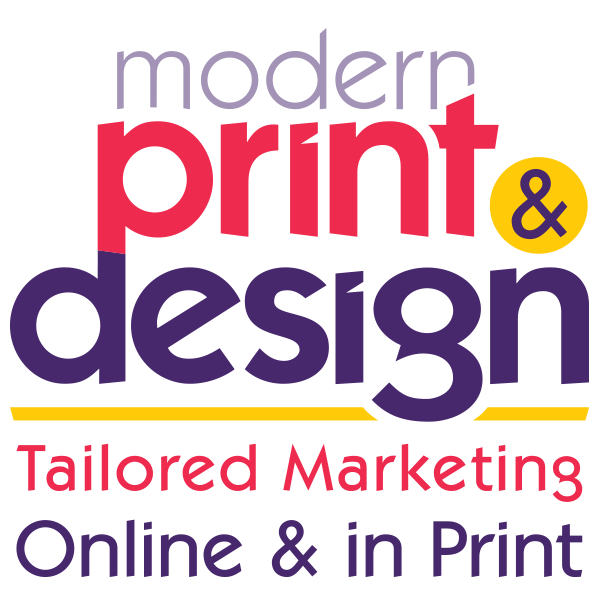 If you would like a free design consultation to discuss your branding with of our graphic designers in Pembrokeshire just call Trevor today on 01646 682676.